I like this! It is worth noting that it is valid for only a sub-section of potential policy decisions; i.e. when someone is clear on what the outcome of interest is and is deciding whether they should implement a certain intervention to achieve that. The tricky thing is that much ‘policy making’ involves deciding between competing outcomes (decisions which are influenced very much by personal views, politics, etc). 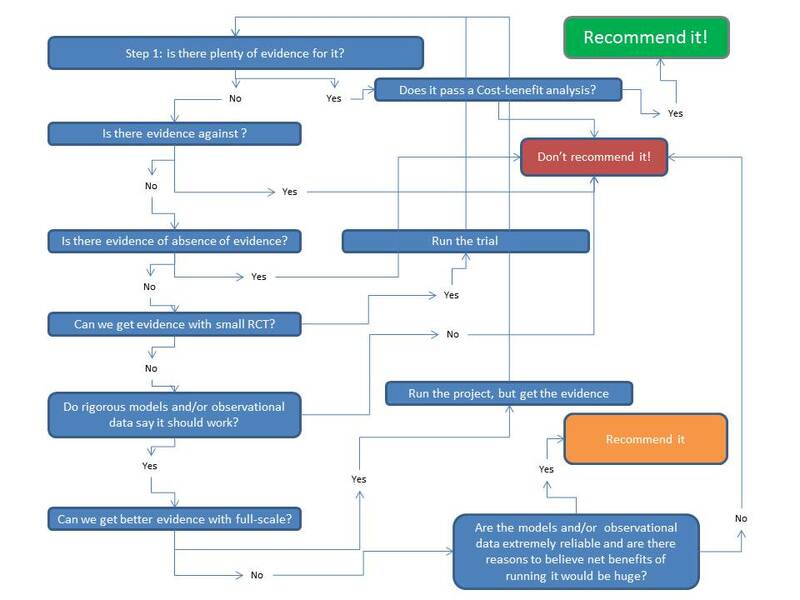 And in addition, decisions on what to do are influenced by more than just evidence of what works – e.g. public opinion, political priorities etc. But having said that, models are intended to provide a simplified view of issues and I think you have achieved that nicely.